Sarah Lipstate officially celebrated the release of the latest opus under her Noveller moniker with a show last night at Bruar Falls. Taking her guitar manifesto to withering heights on Glacial Glow, Lipstate subtly sheds much of the drone while adding many more layers of melody, creating, as she puts it, a wider sonic palette. The resulting product is a slow burning work of art that is worthy of its namesake, one where the beauty behind Lipstate's orchestration comes to the forefront; this is not noise for the sake of art, but rather everything is done with a delicate purpose. Charming in its dissonance, this is the type of record that should open up Noveller to a wider breadth of listener. 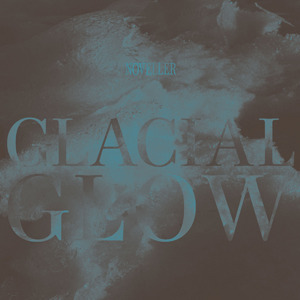 You can stream Glacial Glow in its entirety on Noveller's bandcamp, where we also suggest you pick up a copy of it on wax.